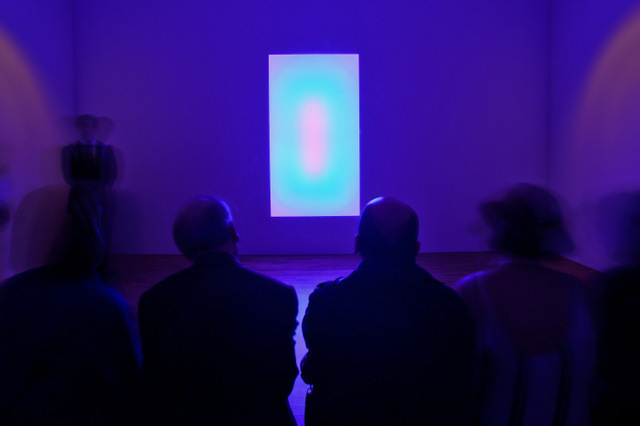 James Turrell is one of the world's premier light artists and he's just had a massive exhibition in the US spread across three major museums in three different cities. 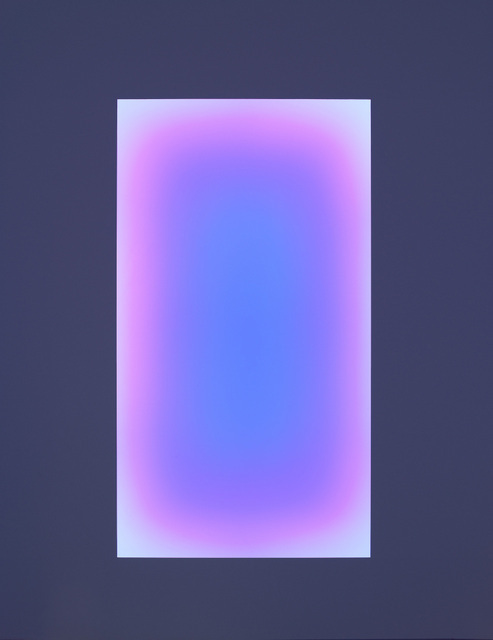 This is a much smaller scale exhibition at Pace gallery but is a chance for us Londoners to experience the mesmerising effects of Turrell's work. There are only four works on display but it's important to space them out and have them enclosed as the viewer really needs to feel encapsulated to reap the full effect. The still images in this article don't do them justice, as each one has a feeling of depth like it's a magical portal rather than a flat projection. Each screen slowly changes the shade and intensity of colour so subtly that at first you wonder whether your mind is playing tricks on you. 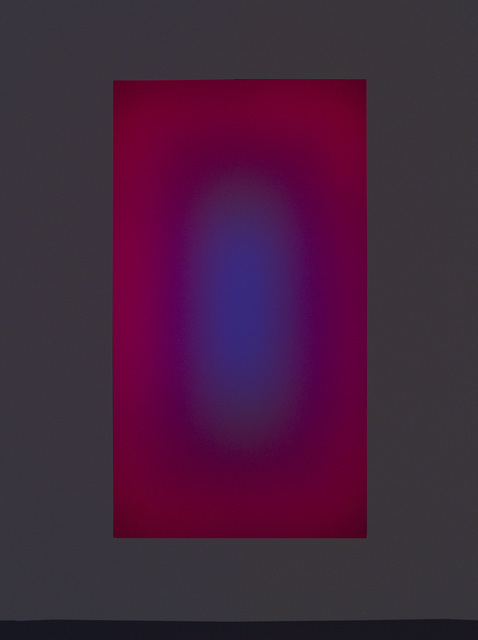 But the calming yet intense colour hypnotises viewers like moths drawn to a flame as the colour burns into retinas. 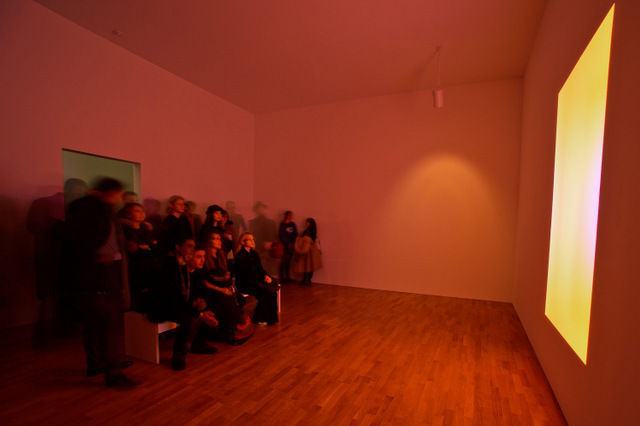 Experiencing one of Turrell's work is an unforgettable experience. There's no question that this show is easily eclipsed by his recent US exhibition and by the one at the Gagosian gallery in 2010. 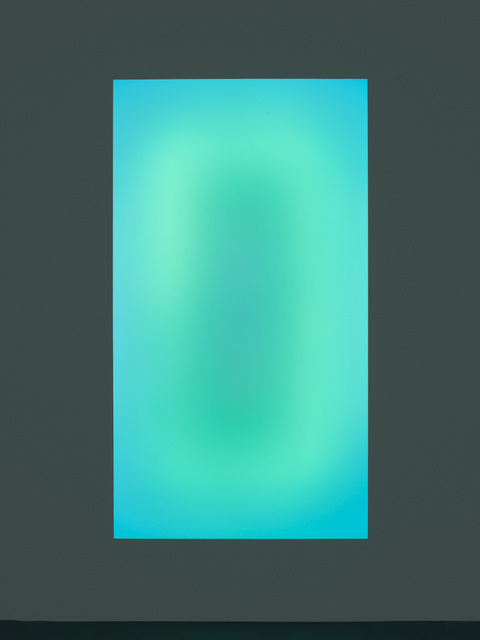 Despite this fact it's still a hypnotic exhibition and we definitely recommend this to anyone who hasn't seen Turrell's light art before, and even to those who have. 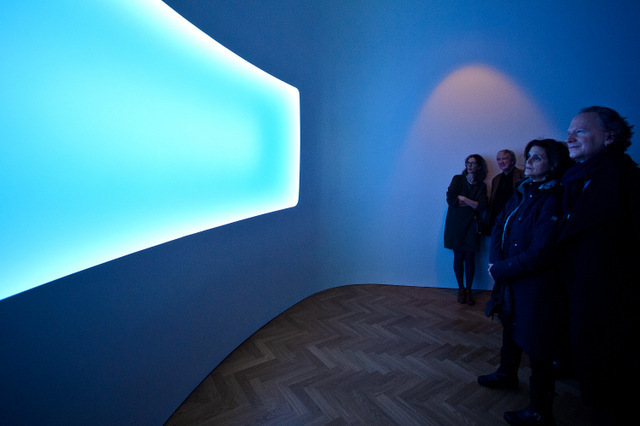 James Turrell is on at Pace London, 6 Burlington Gardens, W1S 3ET until 5 April. Entrance is free.